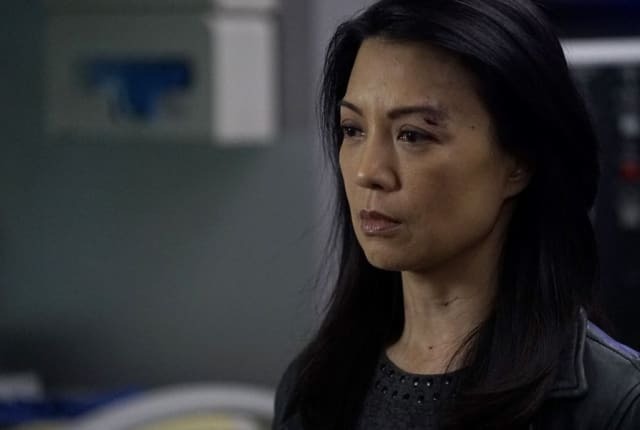 On Marvel's Agents of S.H.I.E.L.D. Season 5 Episode 22, the team face a challenge and the wrong decision will cause the destruction of Earth. When you watch Marvel's Agents of S.H.I.E.L.D. Season 5 Episode 22, Team Coulson argues about their leader's health and the merits of using the centipede serum to save him or to stop Talbot. Coulson, for his part, has already made his decision and would rather die on his own terms rather than risk the world. But Talbot, in his madness, won't wait for anyone to make up their minds as he continues his desperate and insane hunt for more gravitonium to power himself up even further. He forces the young seer Robin to reveal its location, threatening the life of her mother. As Talbot appeareance threatens a major city, the Agents of S.H.I.E.L.D. must unite and come out into the open once more to save the world, this time from a man they once called a friend an ally. But many doubts still linger in their minds as the end draws near. Will Coulson be saved? Will Daisy's leadership skills be up to the task? Can they convince Talbot to stand down, or will they have to find some other way to stop him? Find out what happens when you watch Marvel's Agents of S.H.I.E.L.D. Season 5 Episode 22 online!